Pamela Wible: Today I’m sitting here with Sydney Ashland, an expert in physician mental health, who has worked with doctors for decades helping them overcome negative thinking patterns. 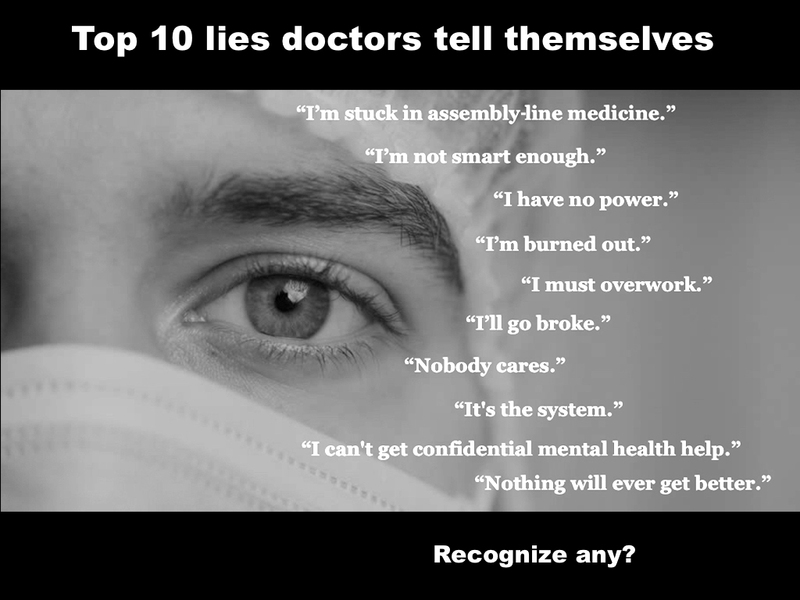 And we’re going to dive into the top 10 lies that physician’s tell themselves. The number one thing that I hear over and over again from doctors is, “I’m stuck in assembly line medicine.” Read blog & comment . . .